I’ve been a fan of the Scion FR-S ever since it debuted in 2013. The attractive, nimble car offers sports-car agility on a budget and features excellent driving dynamics. For 2016, Scion has keep all of the things that enthusiasts love about the FRS while updating the car with a few minor design changes and modern conveniences such as a new premium audio system and a rearview camera. What I love about the Scion FR-S is that it is truly a car that is built for performance. Powered by a 2.0-liter four-cylinder engine that produces 200 horsepower, the FR-S delivers excitement when you need it. While torque output is a little disappointing (151 lb-ft), the Scion FR-S more than makes up for it by being responsive and fun-to-drive. I found a winding back road to test the car’s capabilities and I was not disappointed. The Scion FR-S’ tuned suspension and intuitive, quick steering made easy work of the sharp curves. The car felt firmly planted to the ground even when I pushed it to it’s limits. The interior of the Scion FR-S is mostly plastic with some metallic accents. It won’t win any design awards, but it is functional. The gauges are clearly visible and the controls are easily accessible. I especially love the front seats. They are comfortable, sleek, and give the car the look and feel of a real race car. The backseats are and afterthought and should only be used by small children or adults who don’t mind sitting with there knees in their chests. The premium audio system, accessible from the 7.0-inch screen that also features voice control, delivers excellent sound and is comparable to systems in higher-end vehicles. I listened to artists as varied as Janelle Monae, Death Grips, Adele, Bob Marley, John Coltrane, and Kendrick Lamar and they all sounded great on the new audio system. The system was even clear with the volume cranked up and maximum bass. 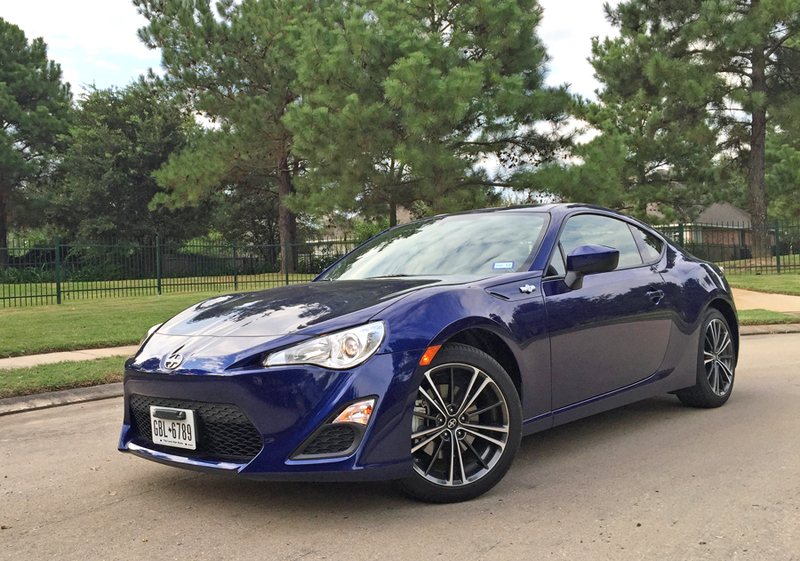 One complaint that has plagued the Scion FRS is that it doesn’t deliver a smooth ride. The 2016 model has not made any significant improvement in this area. In fact, the FR-S’ ride can be quite rough at times making you feel as if you’re inside of an unbalance washing machine. Wind and road noise are also a problem and higher speeds. But I don’t really mind these issues because they enhance the driving experience for me. I like to feel the road and respond accordingly. From a safety standpoint, the 2016 Scion FR-S includes six airbags, anti-lock brakes, and stability and traction control, in addition to the aforementioned rearview camera (a much-need addition that helps reduce blind spots when backing up). The National Highway Traffic Safety Administration (NHTSA) gave the FR-S a five-star overall score, while the Insurance Institute for Highway Safety (IIHS) rated it GOOD in all categories. Fuel economy, while not impressive for a car this size, is acceptable at 25 mpg combined for the manual transmission and 28 mpg combined for the automatic transmission. Overall, the 2016 Scion FR-S is a great car for people who desire the performance of a sports car at an affordable price.